THE woman who died during a stampede at the National Sports Stadium on Sunday has been identified as Egna Nyamadzawo. She was buried in Domboshava. 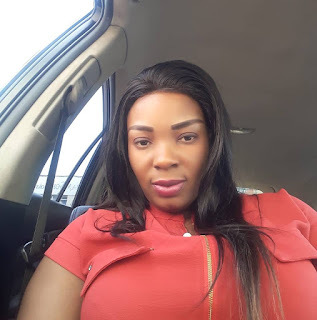 Egna’s best friend, Patience Muza, popularly known as Miss Pee on Star FM’s Tilder Live show, was with her when she was trampled to death and almost lost her life trying to save her friend. Miss Pee bared all to H-Metro when she went for Egna’s funeral after forcing herself out of hospital. Miss Pee dislocated her shoulder and elbow, two of her ribs were affected as well and she was left with bruises on her left eye during the stampede that claimed her best friend Egna’s life. “I was with Egna when people over powered security officers to gain entry into the Stadium,” said Miss Pee. “It was my first day to go and watch soccer and we agreed with Egna and her husband to go and support Warriors. We were not aware of the mishap that would befall us. I lost my best friend. Handisi munhu webhora ini asi ndakaenda kundomira neteam yenyika yedu. “The mishap happened upon handing our tickets by the gate and people who forced the barricades down and jumped over the fence fell on us and we got injured. “Egna suffered much as people kept on stamping on her in their numbers and she died by my side; this is why I did not feel comfortable to be in hospital when my best friend had lost life like that. “I pleaded with medical staff who were attending me in the hospital to excuse me in order to be with family and friends of Egna. “To be honest with you I am in pain; it is only that I am taking stop pain tablets but I will not return to hospital until I witness Egna being laid to rest peacefully. “We both lost our cellphones and Egna had a latest iphone she bought in Dubai few weeks ago,” said Patience while writhing in pain. Miss Pee was among four people who got injured at the National Sports Stadium stampede. Meanwhile, Nyamadzawo family spokesperson Simon Nyamadzawo said Egna’s body will be laid to rest at Mutonda Village in Domboshava today.